Harcourts Finest is set in the heart of Queensburgh , Kwa zulu Natal and is run by a team of professional and qualified agents . An area that is in demand , especially for the younger professional generation. 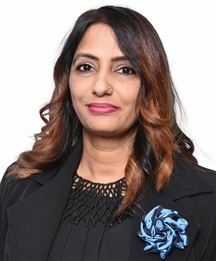 Nisha, Principal - Real Estate Harcourts Nisha began her career twenty years ago with a philosophy of work hard, do the right thing by everyone with straight honest advice, and to be enthusiastic about what you do. Nothing has changed. Being values-driven and sustaining herself in the Real Estate industry for a long period of time , she has managed to build up her credibility and because of this , the majority of the business that she now receives is from referrals and repeat business . Nisha has extensive experience being responsible for selling millions of Rands of property and land in the South African market. She has immense expertise in new home sales and construction and enjoys a reputation with many of KZN’s builders for successfully selling their project homes and helping buyers find and build that dream home. Her extensive knowledge and advice is often relied upon and trusted in the Home/Building Industry by builders and property owners wanting to sell their homes. She has developed relationships with many of KZN’s leading builders over her twenty year career that still goes on today. Nisha believes the major key to her success is that she is passionate about what she does, she has good people working around her and as an independent agent free of the constraints she has the ability to develop new ideas into proven techniques to better serves her clients interests in property. 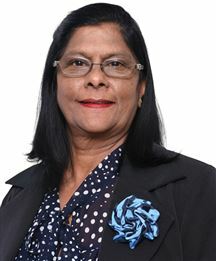 Nisha has been setting sales records over the last seven years with this dynamic and honest approach to selling property. She is very intuitive and offers boundless enthusiasm to achieve the best possible results for her clients. The majority of Nisha’s business is repeat and referral based with many of her clients having trust in, her time and time again when buying and selling property. She has the utmost respect for the responsibility and the trust her clients place in her and gives paramount consideration and understanding as to what suits the property and client best, not the agency. Nisha not only makes the buying and selling process seem easy, you will find that her knowledge and enthusiasm will also make it enjoyable. Why Rent When You Can Own ! !